During the 1980s and early 1990s, folklorist Alvin Schwartz released three collections of terrifying short stories marketed to children. Scary Stories to Tell in the Dark, More Scary Stories to Tell in the Dark, and Scary Stories 3 More Tales to Chill Your Bones remain to this day among the best horror literature available to young readers. However, their appeal goes well beyond the pre-teen and young adult audience for which they were written. Each book is a collection of between 25 and 30 entries. Most of these entries are short flash fiction stories under 500 words in length, but there is also some poetry and songs included in each collection. Some of the stories are terrifying, while others are humorous. All contain horrific elements such as ghosts, monsters, and psychopaths. Schwartz is not the author. These stories, like Grimm’s Fairytales, are derived from folklore. In this case, most, but not all of the tales, have their basis in North American legends. Schwartz recounts these stories in simple language free of lavish description and regional nuances which might confuse the reader. As a folklorist, Schwartz includes academic research as part of each collection. Notes and bibliography presented at the end of each book direct the reader to the sources used to develop the story. Hence, readers interested in a particular tale have the opportunity to learn more about it and revel in the minutia removed in Schwartz’s retelling. Each book is also lavishly illustrated. 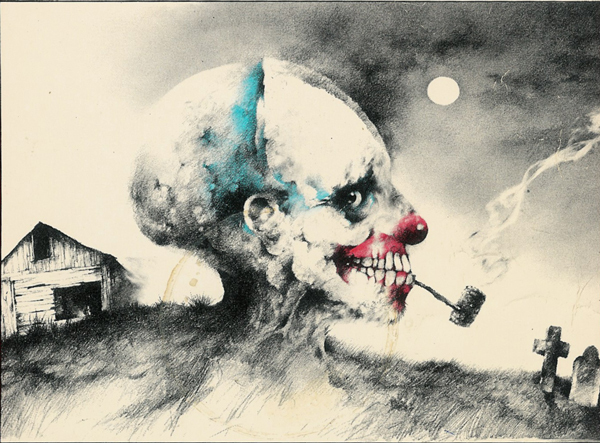 Initial copies printed in the 1980s and 1990s contain the grotesque imagery of artist Stephen Gammell. However, these images were determined to be inappropriate for young readers and more recent printings of the books have included drawings by Brett Helquist of Lemony Snicket fame. The images produced, by both illustrators, are amazing and pull the reader into the tales presented. Scary Stories to Tell in the Dark, the first in the series, is perhaps the most child-appropriate of the books. Subsequent books delve deeper and deeper into subjects less and less appropriate for children, including cannibalism, disfiguration, and abandonment. Parents considering reading or gifting these books to a small child may wish to read them first to gauge if the books are suitable for their young reader. In doing this, the parent may find that the books end up on his or her own horror novel bookshelf instead. Overall, the series is worth taking look at, even if you do not have children. While Schwartz is by no means a great horror author, the stories he tells will resonate with even the most experienced and well-read horror aficionado. These are the stories of urban legend and those told late at night around a campfire. They are enigmatic of the genre and told by a scholar whose love for horror resonates in the tales he tells. Order the box set here. Matthew J. Barbour is a speculative fiction author living with his wife and three children in Bernalillo, New Mexico. When he is not writing fiction, Mr. Barbour manages Jemez Historic Site and contributes to a number of regional newspapers, including the Red Rocks Reporter and the Sandoval Signpost. I loved these books when I was a kid. Going back to them as an adult, I’ve since realized not only how well written they were, but also how much work must have gone into researching and collecting the stories. I did not review them as part of the series, but Schwartz also released the I Can Read Books: Ghosts! and In a Dark, Dark Room. 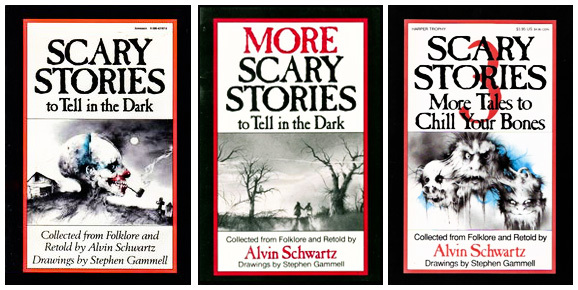 These books were written for even younger readers than the Scary Stories Series. Most of the tales are similar to the ones in the Scary Stories Trilogy. My oldest son was about three when I started reading the stories to him. They would scare him half to death, but he would sit and listen. My wife eventually took the book away from me and she never allowed me to read it to the twins. In hindsight, it was probably not a smart idea on my part to read the stories to him in the first place, but the books captured my interest which made them palatable to read night after night. There are also some other really good children’s horror lit that is less well known. Maybe they will get a review in the future.